Expand search to view more listings in and around Eatontown. 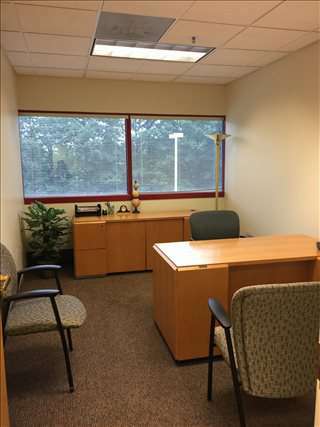 See more offices in and around Eatontown. To help you find the best location for your Eatontown office, the Offices.net site allows you to search through all the offices and get the critical info about each one quickly and easily. We have an extensive range of offices available, most with flexible rental terms that can be altered to match your needs. The Offices.net service was created to help businesses find new premises as easily as possible. Flexible contracts and competitive pricing allows companies of any size and budgetary requirement to benefit from the location in Eatontown that is right for them. We work hard to ensure that the process is as simple as possible for the companies we assist. Most of the business centers that we feature offer offices that are fully furnished and equipped, making setting up a very easy process. Some of the serviced offices can also be configured to meet the needs of your business. Some office providers will tailor the space for you and permit you to decorate, giving you more control over your environment and branding. Just select any of the offices for rent in Eatontown displayed above. Each office and executive office suite boasts a prime business position in Eatontown, with flexible terms to suit your exact office space requirements. We have an impressive selection of excellent office space in other New Jersey locations, all available on flexible terms to suit your individual business needs. For all your office requirements, contact us using the form or phone number above.